When most people think of the word “bootcamp,” they might associate it with a military boot camp, basic training, or something that involves pain, sacrifice, and hard training. We’re not going to lie — though our bootcamp workouts aren’t associated with the military in any way, they’re also not easy. Our bootcamp sessions are pretty challenging, but that’s also why we encourage you to take one with us! It’s true; our bootcamps are not a walk in the park, but rather, a grueling experience at our gym in San Jose. But here’s the thing about getting in shape and truly becoming fit: it’s not supposed to be easy. So, while we can’t promise that you’ll simply breeze through our fitness bootcamps, we can promise that we’ll be there for you every step of the way. With the help of master trainer Alex Zuniga and the team here at Elite Spartans, we’ll make sure that you’re exercising safely and effectively during our fitness bootcamp training classes. We incorporate an intentional mixture of high-intensity training, functional training, cross-training, and (wait for it)…even some fun! Our high-energy environment keeps you moving and grooving during some of the hardest exercises, too. Below, our gym in San Jose offers a few of the many benefits you’ll experience through our fitness boot camp training classes. Let’s take a look! The idea behind our bootcamp workouts is for you to be challenged, but also feel comfortable in the environment that you’re exercising in. Feeling overly self-conscious about where you are or who you’re around isn’t going to encourage your best performance at the gym, and we completely understand that. That’s why our classes are never overbooked, and we make sure that all of our members have their needs taken care of beforehand. Everyone is different. The preferred styles and methods of exercising differ from one person to another based on their background, current state of fitness, and goals. That’s completely OK! To personalize our bootcamp training workouts, Elite Spartans always offers your first session completely free of charge. From there, we’ll schedule a follow-up consultation to discuss your experience, incorporate any feedback, and strategize how to help you reach — and exceed — your fitness goals. If you’ve suffered from an injury in the past, be it sports-related or a general accident, don’t worry. We can help you get in shape with our Spartan Body Bootcamps (SBBC) while avoiding the potential for future injuries or exacerbating your current condition. When you’re working out alongside other like-minded gym goers, you’ll experience the infectious, positive and endorphin-fueled energy that our SBBC classes are known for. When you’re feeling down or discouraged, know that someone will be there to pick you up! 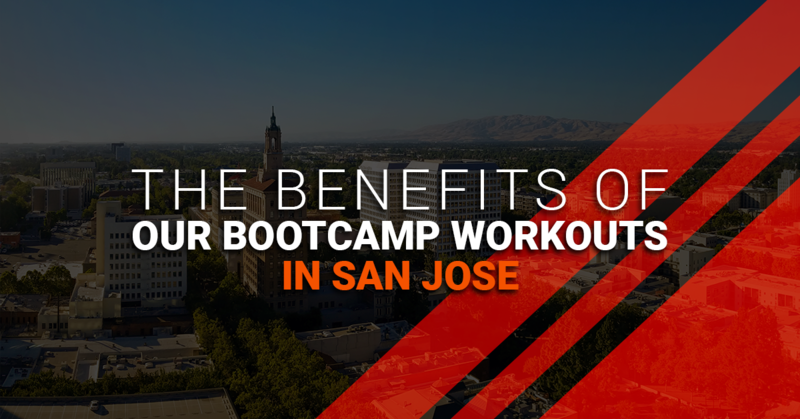 Sign Up For A Free Bootcamp Training Class In San Jose Today! There’s no better time to get started than now. Learn more about our signature bootcamp training sessions or contact Elite Spartans with any questions!